Best-selling Author You only live once. Do you really want to spend more than forty hours a week working on something other than what you are truly passionate about? The truth is extremely successful entrepreneurs are inherently no different than you; they just make different choices. Everyone has a million-dollar idea inside them. They just need help to bring structure to that idea and that's where business coaching can help. Think back to the most stressful time in your business. Perhaps you were struggling to get started, find new customers, financing, obtain media coverage, or create strategic partnerships that would help you grow your company. Imagine how relieved and confident you would have felt if you had an expert coach who understood exactly where you wanted to take your business and could provide you instantly with the right roadmap, team, and cost-effective tools to get you to your goals. Next, your coach was able to help you quickly obtain financing, new customers, and create multiple new income streams for your business. He then provided you with hundreds of resources and accelerators to move four times faster to your financial goals all with reduced your risk. Consider where you and your business would be today if you had more profitably invested the hundreds of hours and tens-of-thousands of dollars business coaching would have saved. Most entrepreneurs are their own greatest obstacle to success. They struggle because they are trying to do too much with too little knowledge and are not using the right tools. Their actions are largely driven by cost as opposed to value. One of the most significant tasks BARON Business Coaches perform is getting new clients to recondition their thinking to ask, "How can I get things done most effectively and efficiently, leveraging my time and achieving the highest return on investment?" By starting with the right question, BARON Business Coaching can help you double your income and the free time you have available to spend with family and friends. The Baron Solution Group is operating in one of the most difficult financial and political environments in over two decades. Yet Patterson and his team have been able to increase the revenues of clients twenty percent on average—and in some instances, double revenues in less than one year. Patterson achieves these results by applying the firm's proprietary method, which includes over 200 business and financial accelerators. By helping clients scale their businesses, Patterson has also positioned them to raise millions of dollars in private equity funding. Black Enterprise praised Patterson’s work, calling it "a compelling way to reveal how wealth-building strategies apply to everyday living." Patterson has also received endorsements from notable business leaders such as billionaire Founder of Black Entertainment Television, Bob Johnson, management expert, Tom Peters, and Chief Marketing Officer of The Nasdaq Stock Market, Inc., John L. Jacobs. William R. Patterson was recently honored during the Founder's Day celebration for Sigma Gamma Rho Sorority, Incorporated for his work teaching financial skills to students in urban schools and teen mothers. "We have made great strides in improving the success rates of small businesses, but we are also committed to youth programs and community service," Patterson says. He conducts The Baron Solution national youth workshop series to help children develop financial and business skills that are not taught in schools. He also developed a personal finance and entrepreneurship curriculum for K–16 students. Victim or Victor: Is Your Small Business Prepared to Profit in a Recession? By leveraging the right team, you can easily grow your business and accelerate profitability while minimizing risk. To help you protect yourself and profit in today's difficult economy, here are seven powerful tips to recession-proof your small business. Many business owners have the wrong mindset when facing a recession. They ask themselves, "How can I cut costs?" But the real question should be, "How can I increase and sustain profitability?" The answer to that question might not lead to cutting costs, but increasing them. It is important to remain focused on intelligently increasing profitability and value, not trying to cut costs and "wait out" out a recession. However, if you truly need to cut costs, you may explore restructuring or consolidating debt to lower interest rate terms. Additionally, you may try consolidating non-business critical functions and services with the same vendor or outsourcing. There is a better and faster way to reach your financial and business goals. "In our first 90-minute wealth coaching session, William helped me identify ten new streams of income that could triple my revenue in less than a year." Delivers the most comprehensive, fully-integrated entrepreneurship training program in the industry. Increases your productivity while giving you more time off to spend with family and friends. The BARON integrated model offers you a higher return on investment and improved odds for long-term success compared to other entrepreneurship training programs. Provides you with a comprehensive sustaining support system which includes one-on-one guidance from industry experts and over 1,000 resources and accelerators. Saves you tens-of-thousands of dollars and hundreds of hours in research and implementation time. Provides you with cutting-edge strategies, best-practices taught by industry leaders, and highly-effective marketing systems to generate more sales and income. Equips you with the proper coaching, planning, training, tools, and partnerships to become more profitable, stable, and better manage growth. BARON Wealth Coaching can help you quadruple the speed at which you reach your business and financial goals over planning yourself or other methods and programs. 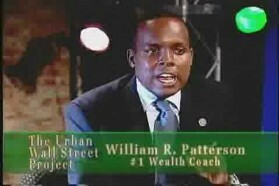 Leverage #1 Wealth Coach William R. Patterson to help you quickly start or improve the profits of your small business. Multiply your odds for success with the proper coaching, planning, training, tools, and partnerships. I'm ready to be the next BARON success story! 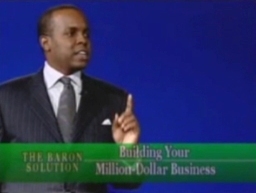 Business and Wealth Coach William R. Patterson appears on Your Emerging Small Business with Greg Williams to discuss dramatically improving profits and performance with business coaching. Business coaching is one of the most effective means for small business owners and entrepreneurs to plan, grow, and design an exit strategy for their companies. Increasingly, more small businesses as well as Fortune 500 firms are partnering with coaches to achieve higher bottom-line results and minimize risk. William shares how you can use business coaching to leverage industry best-practices, turnkey solutions, and value-added resources to achieve larger profits, growth and stability for your small business. One of the major challenges facing entrepreneurs and business leaders today is finding the right business partners. Great care should be exercised when selecting associates because the right choice can bridge gaps in your business plan, while the wrong choice can harm the reputation and earnings of your company. Find the Best 28 Low Cost Businesses to Start Now! Looking for new business ideas or financing? 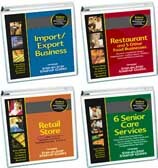 Start your research in The Baron Series Resources area. Save tens-of-thousands of dollars and hundreds of hours by mastering the skills necessary to create a profitable and sustainable business. 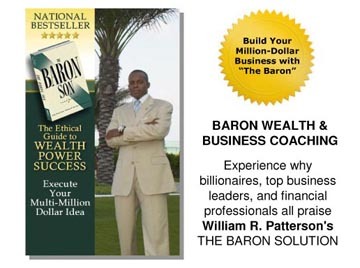 The Baron Son is a revealing story designed as the ethical road map to wealth, power, and success. A legend from centuries past, it is the tale of a young boy who loses everything and through struggle finds the secret to become the richest, most powerful person the world has ever known. Order the book that is changing lives around the world and give the gift of knowledge to family and friends. 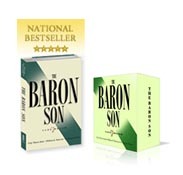 Order The Baron Son Now! You are receiving this email from The Baron Series and Long & Silverman Publishing, Inc. because you have had an existing relationship with one of our companies, purchased a product/service or subscribed to one of our Web sites. To ensure that you continue to receive emails from The Baron Series, add subscriber@baronseries.com to your address book today.